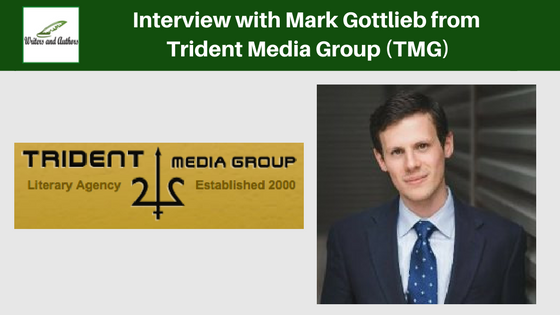 Today I'm joined by Mark Gottlieb from Trident Media Group (TMG) to talk a bit about literary agencies, and share some advice about finding an agent. Trident Media Group (TMG) is a prominent literary agency located in New York City that originally formed in 2000. TMG is one of the world’s leading, largest and most diversified literary agencies. For more than ten consecutive years, TMG continues to rank number one for sales according to publishersmarketplace.com in North America. TMG is the only U.S. literary agency to consistently be in the top ten in both UK fiction and UK non-fiction and has ranked as highly as number one in UK fiction deals. How many authors is TMG currently representing? TMG represents over 1,000 bestselling and emerging authors in a range of genres of fiction and nonfiction, many of whom have appeared on the New York Times Best Sellers Lists and have won major awards and prizes, including the Pulitzer Prize, the National Book Award, the National Book Critics Circle Award, the P.E.N. Faulkner Award, the P.E.N. Hemingway Award, The Booker Prize, and the L.A. Times Book Award, among others. What genres does TMG specialise in? Is there a demand for specific genres at the moment? 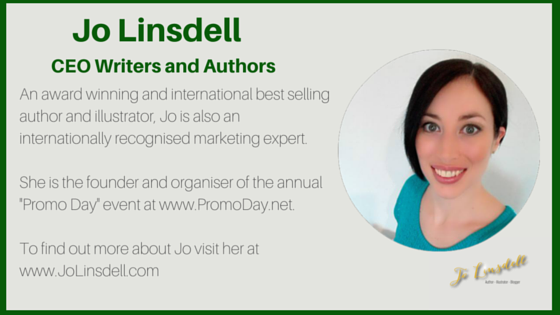 What advice do you have for authors about choosing an agent? Do your research first and remain determined about who you feel may be the best agent for you. It’s also best to start at the top wherever possible. For instance, Trident Media Group ranks #1 on Publishers Marketplace for fiction, nonfiction and agencies in the categories of volume of deals and six-figure+ deals, which is the highest monetary category a literary agency can rank for on that site. We’ve ranked that way for over a decade, which is how long publishersmarketplace.com has been around for… Also be weary of an agent that asks for an exclusive read on your work. Usually that is asked for by more junior-level people or smaller agencies not wanting to compete with larger literary agencies. Obviously you're looking for a great manuscript, but what else do you consider when choosing which authors to represent? Usually what attracts me to an author is bestseller and award status. If an author is involved in the writing community at a grassroots level with conferences, workshops and has published in esteemed literary magazines, that can also help. It’s great to see an author that comes to us with pre-publication blurbs from bestselling and award-winning authors. Listing a few competitive/comparative titles that were bestsellers and/or award-winners, published within the last few years, is also key for a literary agent’s consideration. The author should have written a knock-out query letter and hook. At the end of the day, though, the manuscript must be an amazing read. Where can people find out more about TMG?